The Clermont County General Health District recently announced it has received a $50,000 grant to enhance opportunities for physical activity and outdoor recreation in Clermont County. Interact for Health, a catalyst for health and wellness, provided the funding as part of its mission to improve the health of the Greater Cincinnati region. The grant will fund phase 3 of the Williamsburg to Batavia Hike Bike Trail and will enable resident to be more active. The Centers for Disease Control and Prevention (CDC) recommends that adults have 20 minutes of vigorous exercise three times each week, or 30 minutes of moderate exercise five times each week. In the Interact for Health service area, according to the 2010 Greater Cincinnati Community Health Status Survey, only 47 percent of area adults report they met these guidelines. 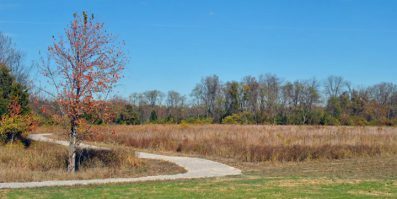 The Clermont County General Health District is one of eleven organizations throughout the 20-county region to receive a grant to plan, build or enhance play and fitness areas.